Stalker Radar for Military, State, Local, and Tribal Government Law Enforcement through the GSA Advantage! 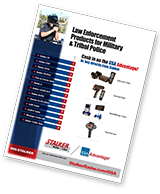 An All New Stalker Catalog of Law Enforcement Products for Military and Tribal Police will be available soon for download. 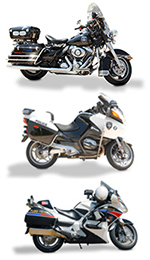 GSA Advantage!® is an online purchasing service created within the GSA organization. Its mission is to provide a streamlined, efficient purchasing portal for federal agencies to acquire the goods and services needed. Gately Communication Co. provides our customers a flexible alternative to standard procurement methodologies through GSA Advantage!. Gately is an authorized GSA contractor with the ability to fulfill orders placed from our authorized online catalog. As an authorized GSA contractor, our services are available to all federal agencies in the continental US and abroad in an Indefinite Delivery, Indefinite Quantity Contract format. All purchases are considered to be competitive procurements under the Competition in Contracting Act (CICA) when the GSA Advantage purchase procedures are properly followed. Under the schedules program, buyers receive "most favored customer pricing," and enjoy shorter acquisition lead-times, lower administrative costs, and reduced inventories. In addition to ensuring competitive price points versus those found on the open market, services can be purchased with reduced administrative burden using the GSA Advantage Online Shopping Service. Gately’s GSA contract also allows for competitive pricing against multiple GSA contractors using the GSA e-Buy Request for Quote (RFQ) tool. Using the RFQ tool, customers can obtain our services using a more standard comparison bidding process when required.